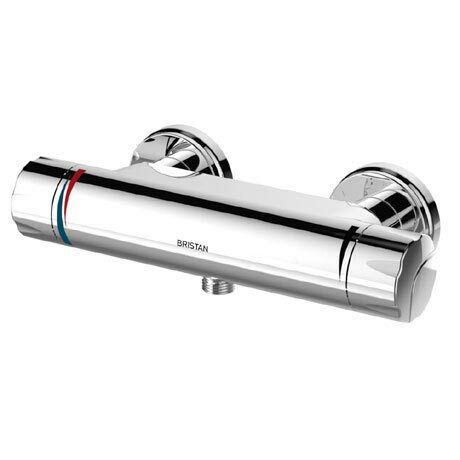 From the Bristan Commercial range, The Opac Thermostatic Exposed Bar Shower Valve with Fast Fit Connections is a dual controlled valve for the temperature and flow. The Cool Touch feature ensures the bar valve stays cool to the touch while in use. Comes supplied with a handy fast fit fixing kit make quick work of installing the bar shower. TMV2 & 3 and WRAS approved.